The classic bakery reminds MP of a New Jersey farm she visited as a child. No matter how old you are, there’s something magic about pressing your face against the glass to watch the donuts come hot off the conveyor belt. 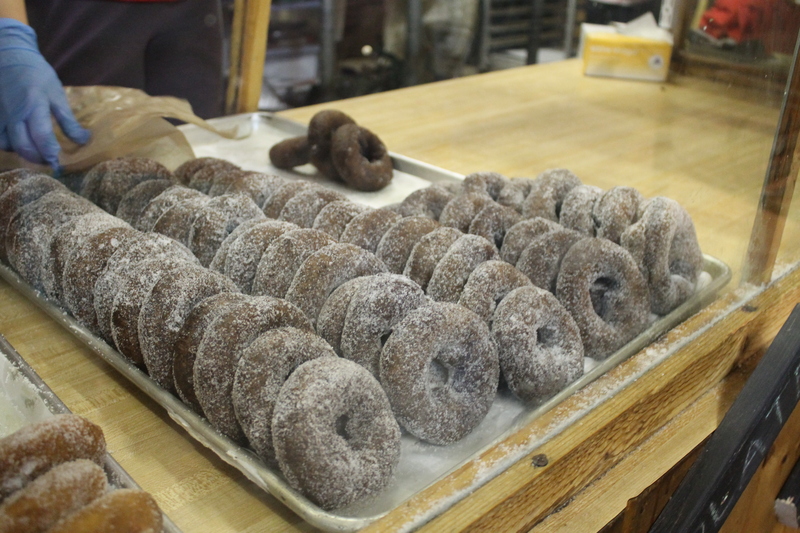 These are the donuts we crave every fall. 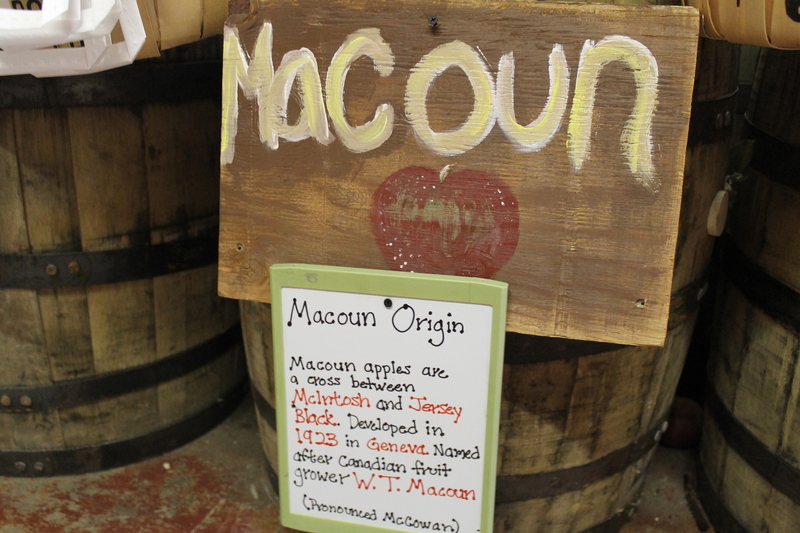 Little did we know, we’ve been pronouncing Macoun wrong for years! The plan was to eat our treats outside at the picnic tables, but the bees were hungry that day. And who could blame them? 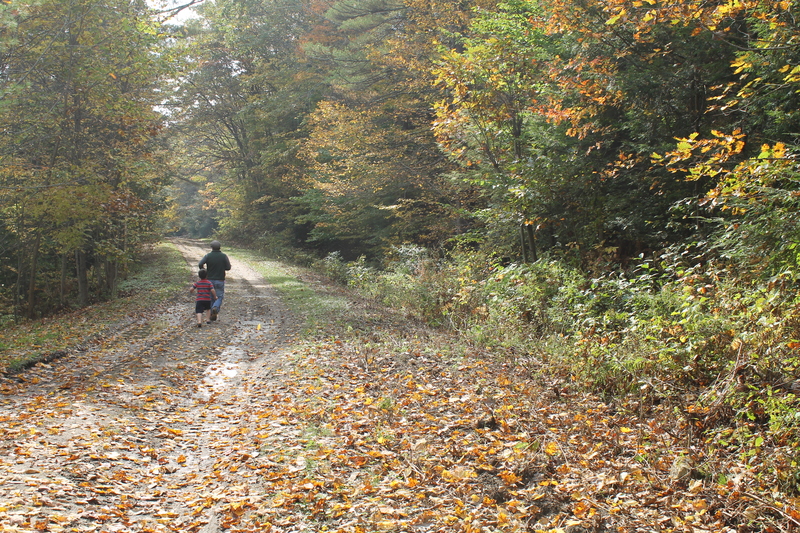 The team hotfooted it to the car, and DP decided to drive us to the Spring Road Trail for an autumn walk. CP#2 and DP at the head of the Lake Auburn Nature trail. 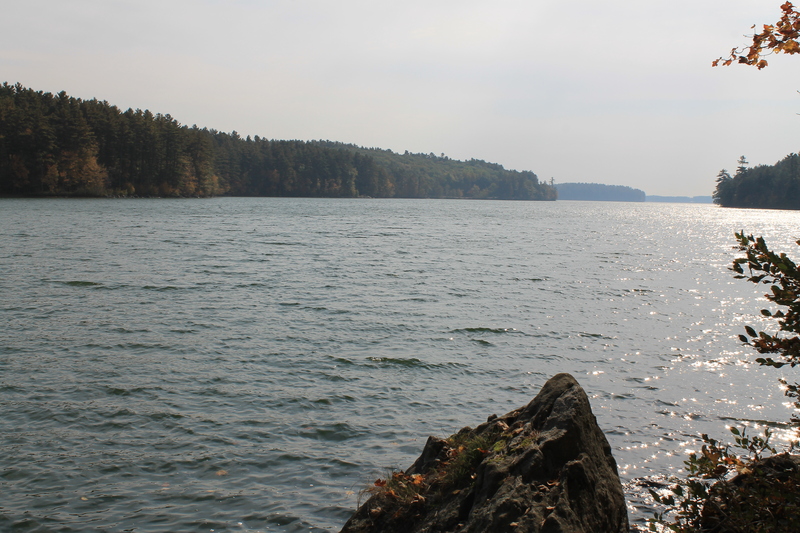 A midday view of Lake Auburn. Our bellies full of donuts and cider, we explored the trail, caught falling leaves, and soaked up the downright gorgeous weather. 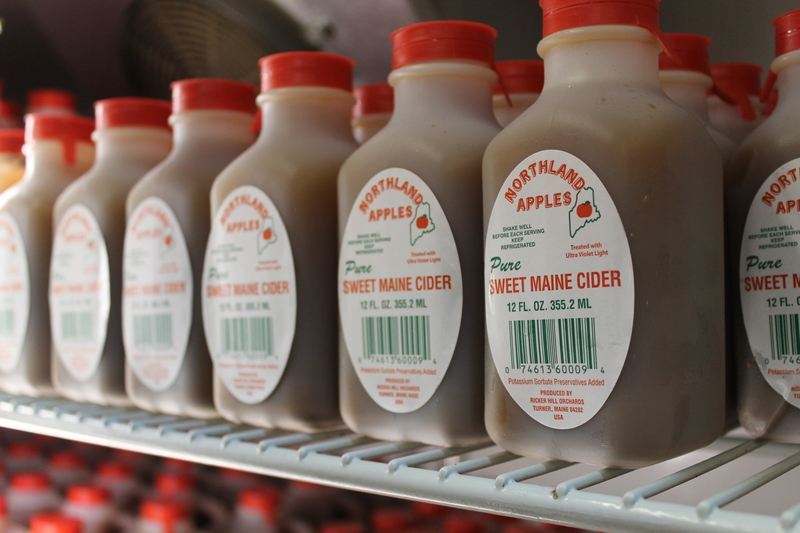 For the team at Cute Potato, there’s no better way to celebrate fall in Maine. 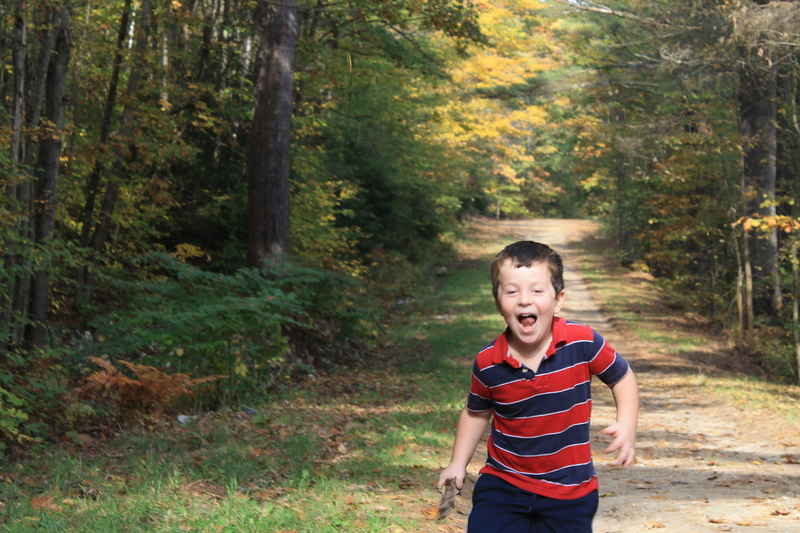 For more on the Lake Auburn Nature Trail, also called the Spring Road Nature Trail, visit L.A. Trails. 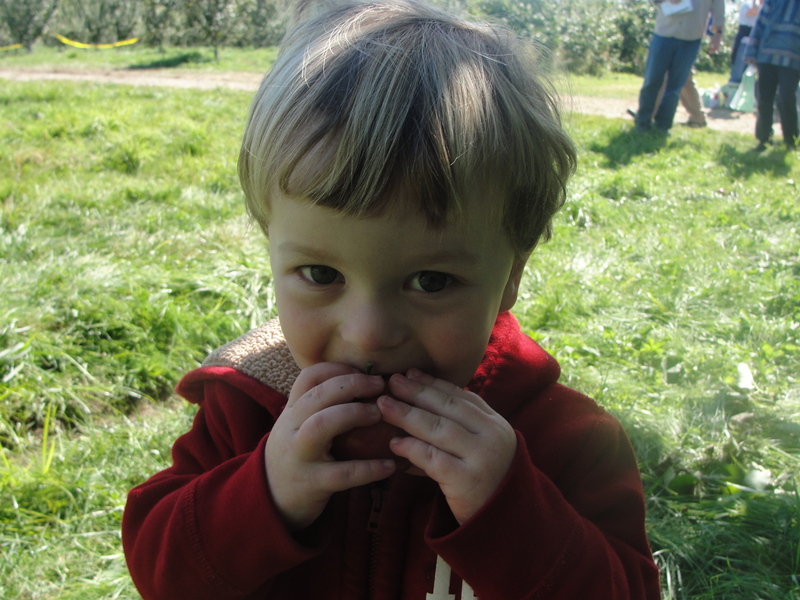 Our favorite orchard is Ricker Hill in Turner, because they have pick-your-own organic. Yes, the parade is great to check out! 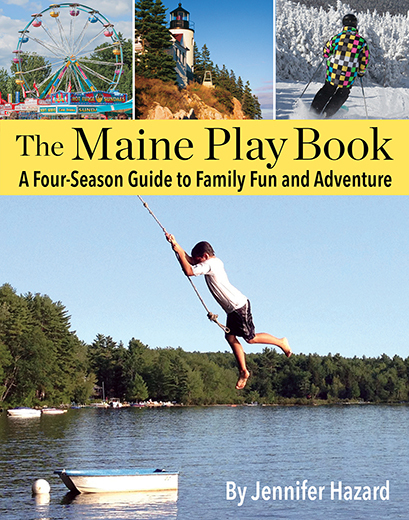 We’re fans of Ricker Hill, too. 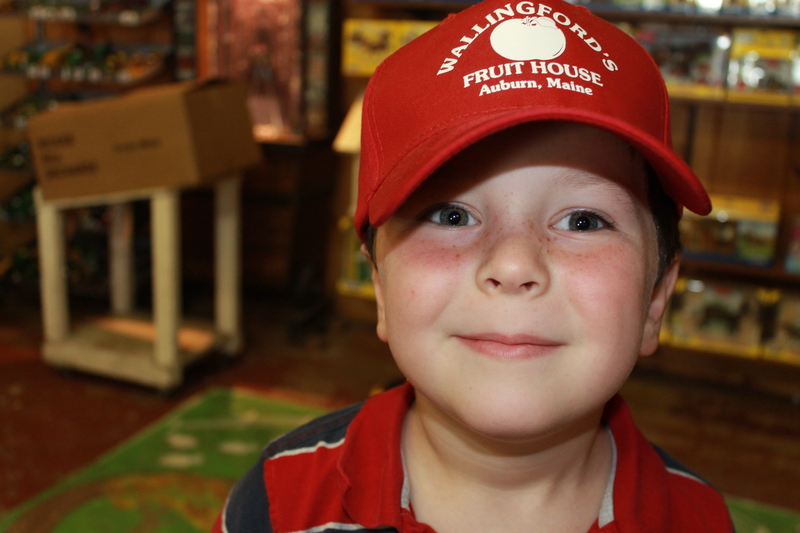 In fact, RH runs Wallingford’s Fruit House. http://wallingfordsorchard.com/about-us.html Happy fall!